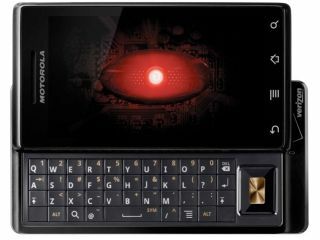 The Moto Droid has been shown off in a video in a European-friendly flavour, and will now be coming to these shores as the Milestone. O2 pricing guides and catalogues in Germany have shown off the Milestone in full glory, meaning it's likely to be announced shortly in this territory. However, if it does come to the UK, it's unlikely to be from O2, with the network telling TechRadar: "We have no plans to range the Droid (or Milestone) in the UK". But in better news, there Droid/Milestone has been demoed on video, and it's packing pinch and zoom as well. This means that the previous blocks Google has placed on pinch and zoom functionality in other Android handsets (the ability to do so has always been there, just never exploited for some reason) may have now been lifted. Motorola is remaining steadfastly tight-lipped on whether the new Droid/Milestone will be coming to the UK, but we can only assume it will be, as it's a flagship model with improved functionality over the Dext. It might not look the most aesthetically pleasing, but the new handset could be another step on Motorola's road to recovery - and the sooner we get Android 2.0 over here, the better.